Members of the Free Morgan Foundation attend and present at a variety of conferences, symposiums and workshops. Examples of our work in these areas are presented here. Upcoming workshops and conferences will be advertised here and on our Facebook page. 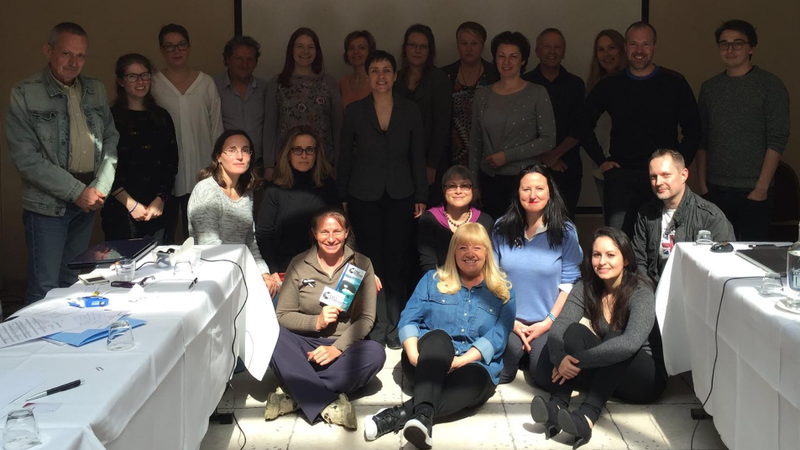 April 2016, Animals in Entertainment Workshop in Brussels (Belgium). Attended by FMF board members Dr Ingrid Visser, Hester Bartels and Rosina Lisker. Discussions were held about the welfare issues of using animals in entertainment (including television, film, circuses and other live performances), by a coalition of of 16 NGOs including the Federation of Veterinarians in Europe (FVE) and FMF. 3-5 May 2016. 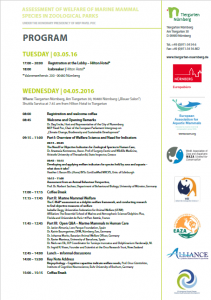 Cetacean Welfare Criteria Workshop – Nuremberg, Germany. Rosina Lisker & Dr Ingrid N. Visser attended this industry-lead workshop and Dr Visser participated in an open panel discussion and Q&A. Member of the European Parliament (MEP) Mr Pavel Poc (Czech Republic) opened the workshop and had a lengthy discussion with Ingrid about Morgan’s situation. The workshop included presentations by veterinarians and biologists about the issues surrounding welfare for animals in captivity. A Q&A panel of industry employees and biologists (including Dr. Visser) answered questions from the delegates. A later collaboration of all those present looked at what aspects of life for a captive cetacean could be used as part of the framework and indicators to assess welfare. Not surprisingly, the issues of stereotypies, rake marks, dental damage and overall medical history were some of the points that were noted and stressed by the FMF. The lack of data and research (as well as subsequent published scientific articles) was remarked on a number of times and the industry was called upon to rectify this issue. Concerns about the welfare of dolphins and naturally, orca (including Morgan) were raised by the FMF team. We believe that welfare indicators for captive cetaceans may often start from a baseline that is already compromised, due to their confinement so we will strive to help the industry understand these issues. 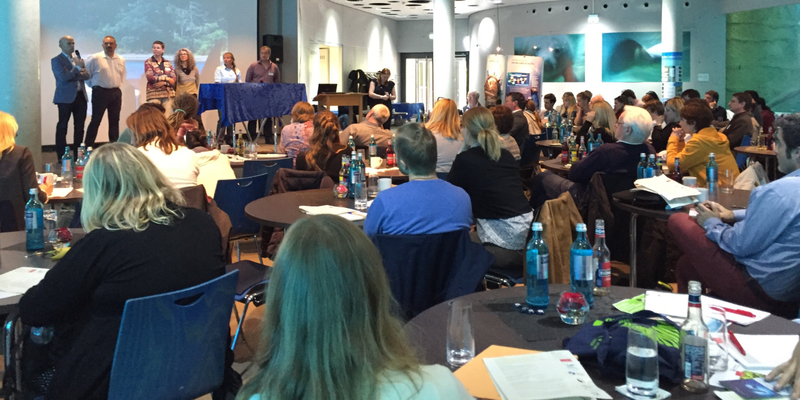 The Q&A panel shown in the photo above was comprised of (from left to right): Dr. Niels van Elk (Dolfinarium Harderwijk, Netherlands – involved in the actual capture of Morgan and the subsequent keeping of her in the Netherlands), Dr. Javier Almunia (Loro Parque Foundation, Spain – involved in the keeping of Morgan in Spain), Dr. Johanna Moritz (Bavarian Animal Welfare Officer, Germany), Dr. Katrin Baumgartner (Tiergarten Nürnberg/Nuremberg Zoo, Germany), Dr. Ingrid Visser (Orca Research Trust, New Zealand & FMF, Netherlands), Dr. Xavier Manteca (University of Barcelona, Spain). 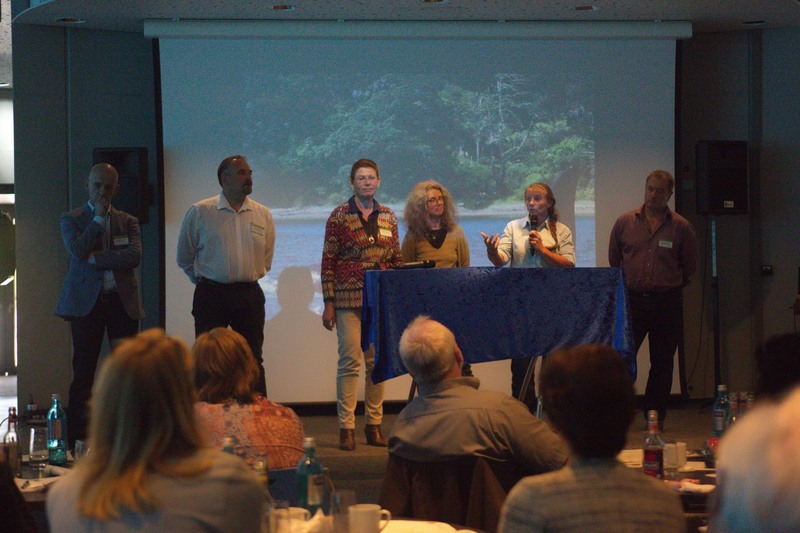 In association with the 21st Biennial Conference on the Biology of Marine Mammals in San Francisco, the Sea Pen Sanctuaries for Cetaceans workshop was held on the 13th of December 2015. This workshop, attended by FMF Board Member Dr Ingrid Visser. The workshop addressed how and where to establish a coastal sanctuary for cetaceans who one day will be retired from captive display. Members of the captive industry as well as scientists, conservationists and stakeholders from the public were all present. 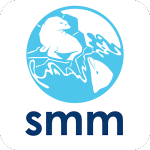 14 December 2015 – Closed door-workshop on Cetacean Sanctuaries. Attended by FMF Board Members Matthew Spiegl, Terry Hardie and Ingrid Visser, who are now on the Advisory Board for the Whale Sanctuary Project. This workshop considered a number of logistical issues, including where a sanctuary could be located, taking into account the engineering aspects as well as the husbandry and welfare requirement for hosting cetaceans rescued from the captivity industry. Issues such as veterinary care, training and the laws governing such a project, were also discussed. Attended by FMF board member Dr Ingrid Visser, who presented on behalf of FMF about the situation regarding Morgan at Loro Parque. Attended by FMF board members Dr Ingrid Visser, Hester Bartels and Rosina Lisker who gave presentations about the work that FMF has been conducting. FMF is a founding member of the D-FE. Attended by FMF Board Member Dr Ingrid Visser who participated as an expert in the panel on scholar advocataes. 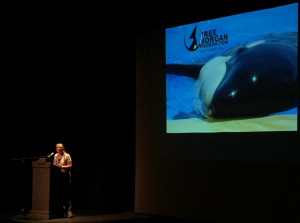 She also gave a talk about wild orca research and the current issues with regards to the orca at Loro Parque and Morgan in particular. Visser gave a number of interviews and provided contributions towards videos for education. Attended by FMF Board Members Dr Ingrid Visser and Rosina Lisker. Rosina created and staffed a booth for FMF outreach and Ingrid gave a number of talks. Both Board Members participated in media events as well as collaborations and contributions towards videos for education. Official Launch of the Coalition in the European Parliament & Annual Conference (Brussels, Belgium). Attended by FMF board members Hester Bartels and Rosina Lisker (& Dr Ingrid Visser, who attended remotely). 28-31 July 2015. Compassionate Conservation Conference (Vancouver, Canada). 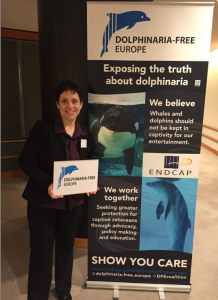 Dr Ingrid N. Visser gave a verbal and poster presentation which discussed the plight of cetaceans who have been ‘rescued’ and are then not released, but rather kept as commercial assets. The case study was Morgan, but at least 13 other species and 13 different facilities were represented. 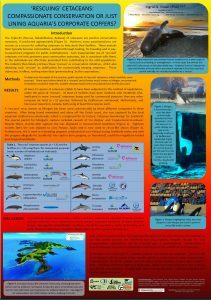 The poster has been made available to the public through the Orca Research Trust website, along with other research articles on orca. March 2014. World Whale Conference, Brighton, UK. A conference bringing together the whale and dolphin watching industry with the NGO’s who’s mission is to protect cetaceans (whales, dolphins & porpoises), worldwide. Rosina Lisker and Dr Ingrid Visser, both FMF board members, attended and Visser gave a presentation about Morgan and captive orca. 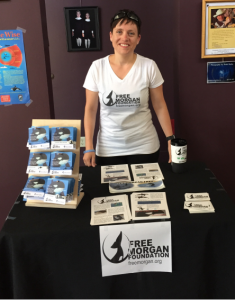 Held in conjunction with WhaleFest and Planet Whale, this conference carried on highlighting the plight of captive cetaceans and using Morgan as a ‘poster child’ for all that is wrong with the industry. A ‘Mock Morgan’, on a trailer, was driven around southern England, to help raise awareness. Dr Ingrid Visser attended the World Whale Conference held in one of the whale-watching capitals of the world. She presented the ongoing saga of Morgan and the complexity of the legal cases, for which the Free Morgan Foundation team were involved as expert witnesses. Her presentation was live-streamed around the world. Natalie Barefoot, the founder of Cet Law, which collaborates with the FMF for Morgan, also attended the Boston conference. 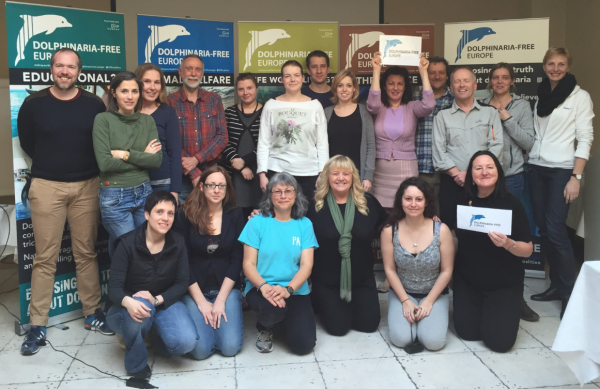 Together with Dr Visser they both attended the workshops on cetaceans in captivity. 25-26 October 2012. World Whale Conference & “Save the Whales: Reloaded”, Brighton, UK. A conference bringing together the whale and dolphin watching industry with the NGO’s who’s mission is to protect cetaceans (whales, dolphins & porpoises), worldwide. Held on the 30th anniversary of the decision to ban whaling, which took place at Brighton, near London, UK, the world’s whale and dolphin charities and cetacean watching companies returned to the same location to again join forces on behalf of whales and dolphins. Rosina Lisker and Dr Ingrid Visser, both FMF board members, attended and Visser gave presentations about Morgan and captive orca. Loro Parque, the entertainment them park which has held Morgan since 29 November 2011, became one of the ‘issues’ highlighted for cetaceans and a campaign was started, calling for a boycott of the facility. 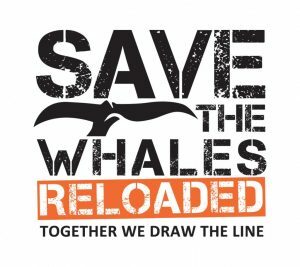 Forty-seven charities, businesses and delegates added their support to the Free Morgan Foundation as part of the Save the Whales: Reloaded campaign. From this conference, of which least 75 leading environmental and animal protection groups and businesses attended, the concept of a global partnership for whales, which became the World Cetacean Alliance (WCA) was born and the FMF became a founding member. The WCA was launched on 8 June 2013 (World Ocean’s Day).